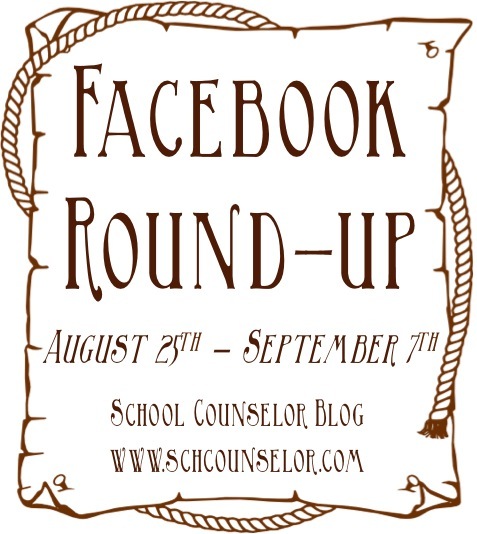 There is a lot of great discussion happening on the School Counselor Blog Facebook Page. Bi-weekly I will share some of the most popular posts and fan questions from the School Counselor Blog Facebook Page. Check out the questions below and then visit the links to read comments, suggestions, and ideas from other school counselors! Bambi is a social worker who will be starting in a health center in a school. She wants to know how school counselors and social workers can work together to meet the needs of students. She also wants to know ways social workers and school counselors can build rapport with each other. Click her to read the comments. Where is your favorite place to get an educator discount? Share the place, the discount, and what you LOVE to get there! Click here to read the comments. I gave teachers and staff at my school a sweet M and M treat to wish them a Magnificent and Marvelous new school year! Check out my latest post for the printable! Do you give teachers and staff any treats or trinkets at the beginning of the school year? Click here to read the comments. Danielle (not me!) is starting a new job as a counselor for grades 9-12. She is looking for office ideas and program ideas. She would love to know fun, exciting and/or different ideas for working with this age group! Please share your ideas below. Also feel free to post office pics! Click here to read the comments. What types of groups do you facilitate at your school? Share your level, types of groups, and one of your students' favorite activities. Click here to read the comments. Melissa is looking for therapeutic activities for a grief and loss group that involve art. Click here to read the comments. Debbie is looking for career development ideas, lessons, and resources for grades 5-8. Click here to read the comments. Lyndsay would love to find out what others have done to stay positive when they've had to move to a different level of counseling than what they're heart truly loves. She was moved from elementary to high school and she is finding it really hard to adjust to all the paperwork/scheduling/transcripts rather than all the counseling she got to do at the elementary level. She would appreciate any advice/encouragement/feedback/or suggestions on feeling confident in switching levels or switching to high school. Click here to read the comments. Jessica is looking for ideas of where to look for donations, grants, and other funds to use towards school counseling initiatives. Where do you find out about grants and fundraising? How do you solicit donations? Please share below! Click here to read the comments. Jess and Meredith both want to know how you can use data to show how you are making an impact on academic achievement as a school counselor. Give examples or share resources below! Click here to read the comments.